Ever walked around the inner lanes of Karama? The place is filled with super cool street art, from murals of lions to geometric art. 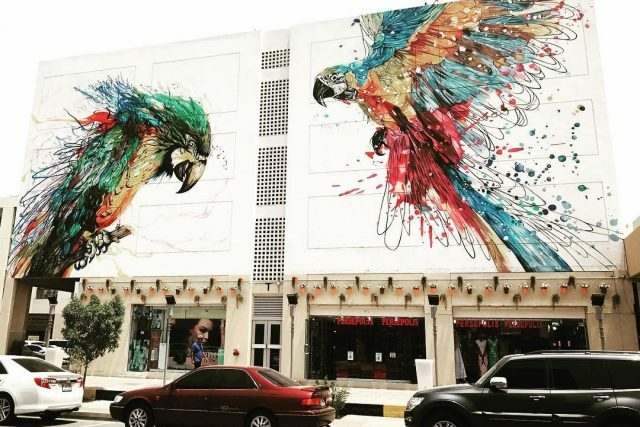 Alternatively, another great spot in Old Dubai to check out awesome street art in Dubai is the Dubai Street Museum in Satwa! 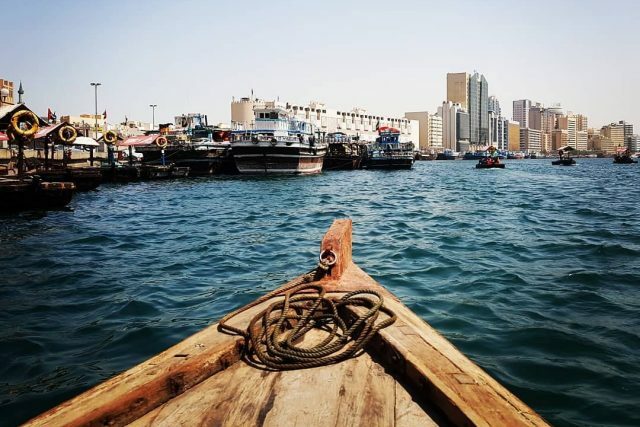 Definitely one of Dubai’s best attractions, the abra rides across the Creek are a must! For just AED 1, you can snap up the picture-perfect views, watch the birds fly overhead and just sit back and enjoy the ride to the other side of the Creek. As soon as you hop off the abra at the Deira Old Souq station, all the souks will be within walking distance from there. Head to the Spice Souk to check out all the different spices, herbs, and nuts. 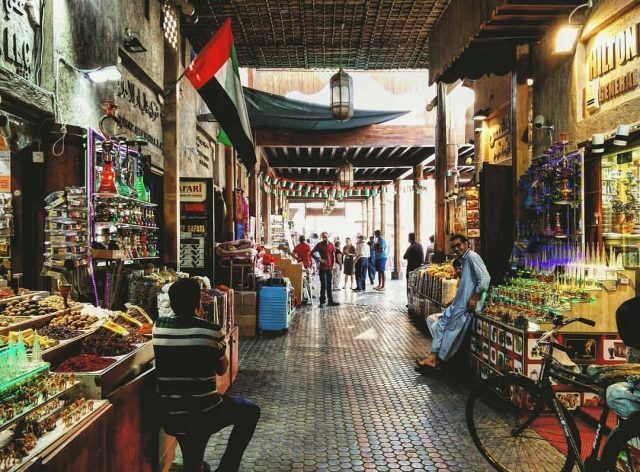 For shopping, the Old Souk has some really cool accessories and handicrafts – don’t forget to bargain! And the Gold Souk is great if you want to buy gold, look around, or see the world’s largest gold ring! 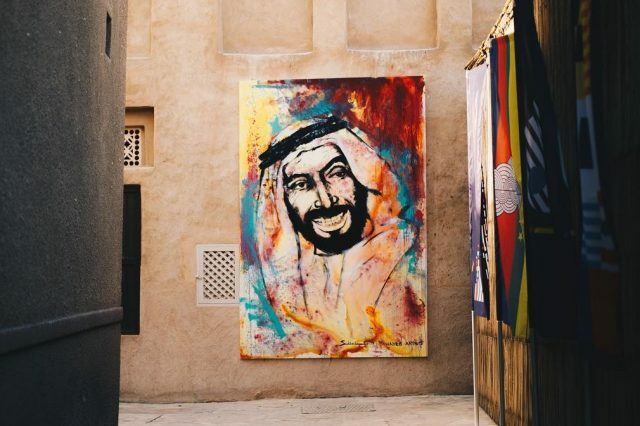 The Al Bastakiya area, also known as the Al Fahidi Historical Neighbourhood, is home to lots of cool art galleries, as well as cafes and museums! One of our favourites is the Mawaheb Art Gallery, where you can find art created by people of determination. Now is a great time to visit as Sikka Art Fair kicks off this weekend. Expect the entire place to be filled with art, music, film and loads of fun. 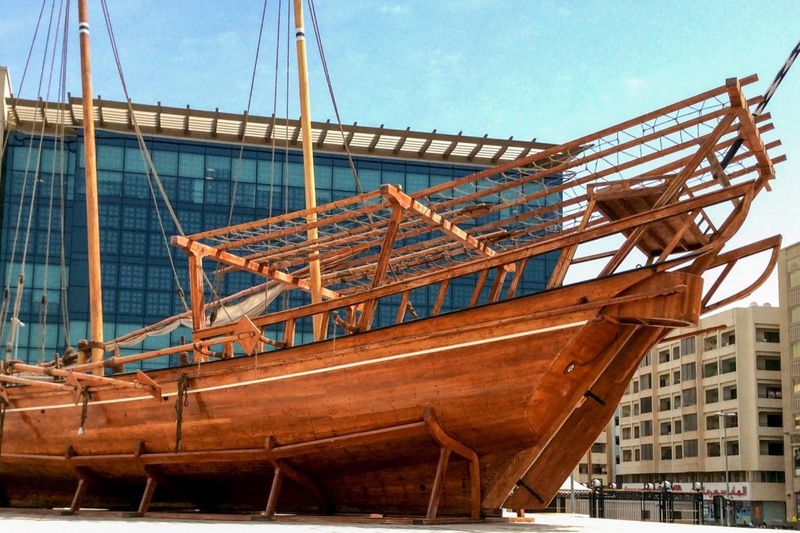 Take a trip to the Dubai Museum to see how much Dubai has grown over the years, from the era of pearl divers to the metropolitan city it is today. While you’re there, you can also visit some of Dubai’s lesser-known museums like the Dubai Coffee Museum or the Coins Museum! Looking for more cool things to do in the area? 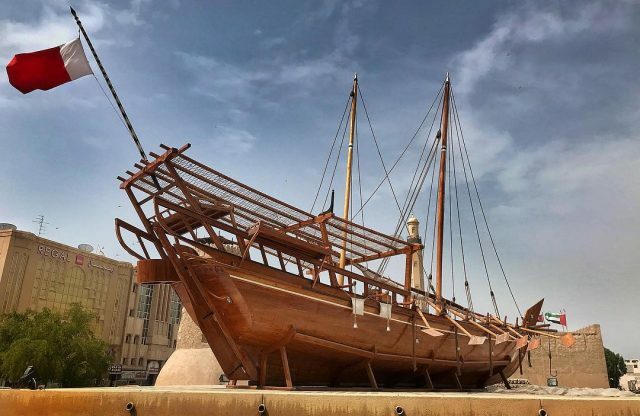 Here are 5 things to check out in Al Bastakiya, or if you want to explore more museums, here are 5 museums in Dubai that you need to visit!